Simply download the invitations from below, then edit the text using the free font Futura Light. Print onto an A7-size white cardstock invitation. We’ve included two files — one invite and a pattern for the invite’s reverse side. 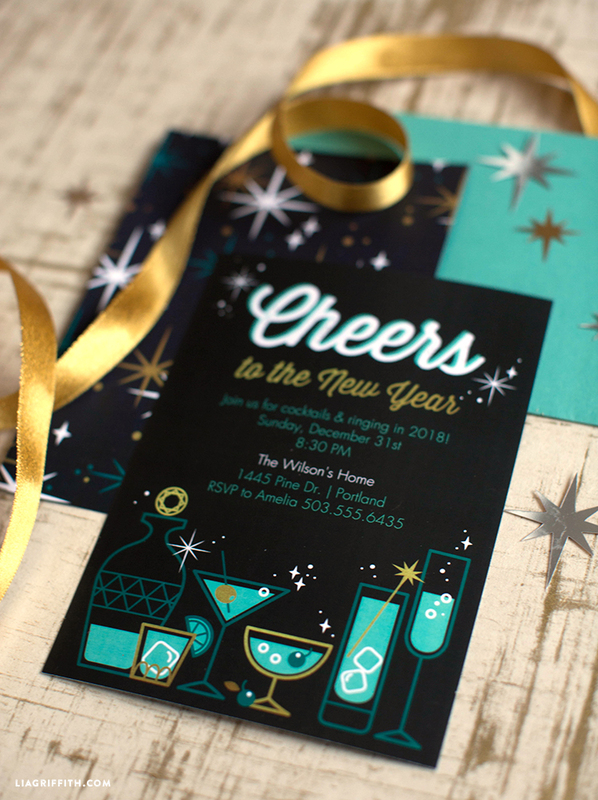 We’ve left these invites year-less so you can use them for other New Year’s Eves the come. 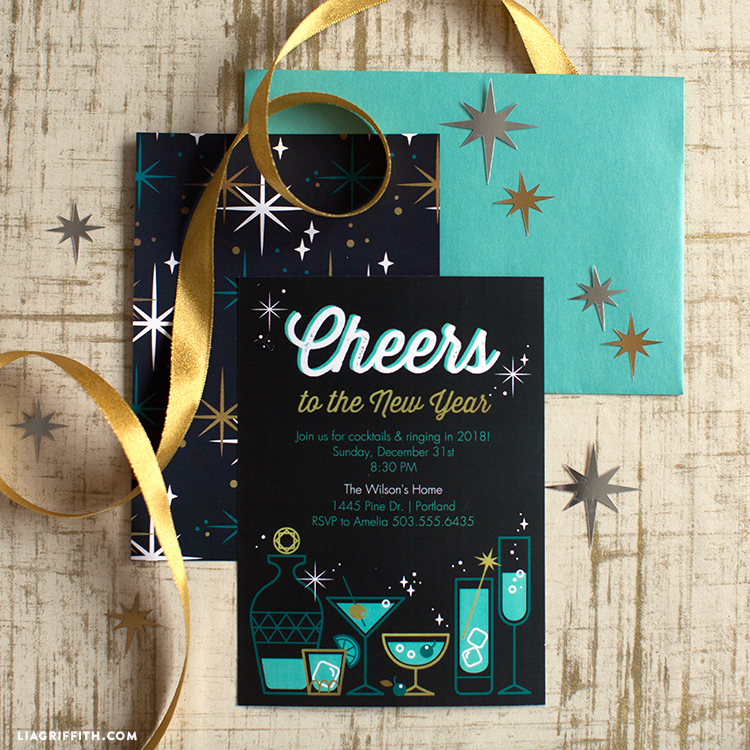 Pair with a bold colored envelope for extra pizzazz! These invitations will never go out of style! For more DIY New Year’s inspiration, browse all of our projects here. And be sure to join us on Instagram, Facebook and Twitter, and sign up for a Lia Griffith membership today! Hi Lia, do you mind me asking what is the font for the text “to the New Year”?